Recently Carroll Bros. Contracting was contacted for a concrete pool removal in Eldersburg Maryland. This was not just a pool removal but a complete renovation of the home owners property and home, so Carroll Bros had to work closely with other contractors to schedule and organize the project. 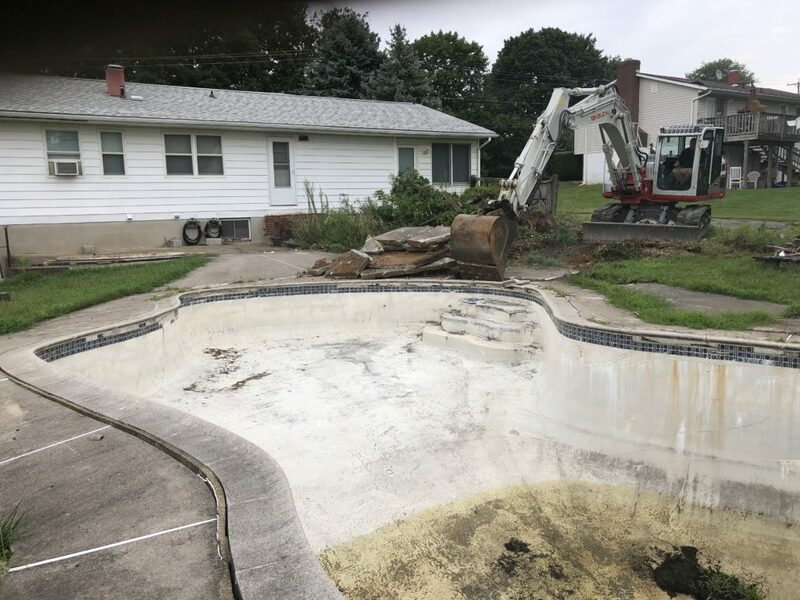 This pool had not been used in many years, and this home owner was putting a lot of work into the property in order to sell the home. The home owner thought the property had more value with a graded and usable backyard then an old run down, out of commission swimming pool. Carroll Bros. Contracting was able to remove the concrete pool, surrounding patio and landscaping that currently occupied the backyard. We then filled the hole with dirt, graded the property, laid seed, straw and top soil. 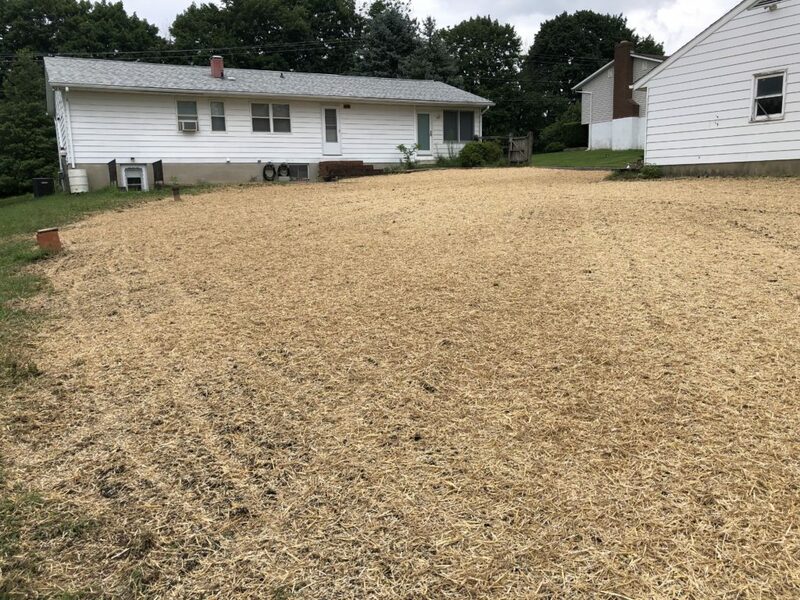 Now the home owner has a usable backyard, to go along with all the other home renovations in order to successfully sell their home.